Rev. ed. 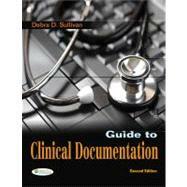 of: Documentation for physician assistants / Debra D. Sullivan, Lynnette J. Mattingly. c2004.